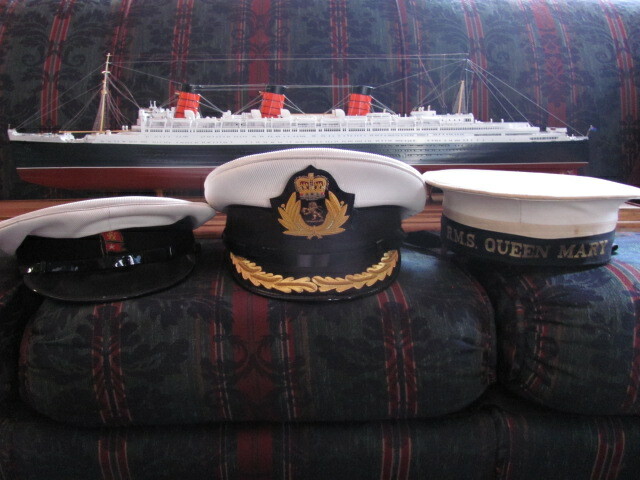 The above-pictured caps from Queen Mary are, from left to right, a steward’s cap, a captain’s cap, and a sailor’s cap. 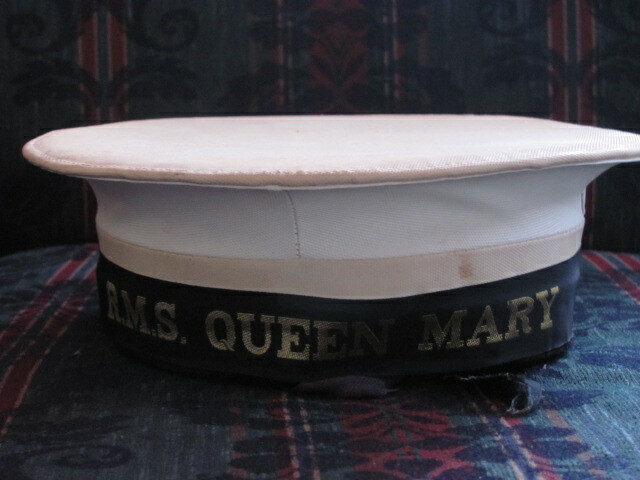 I am not as knowledgeable about the caps from her majesty as other pieces of memorabilia but recognize them from the black and white footage of her at sea. 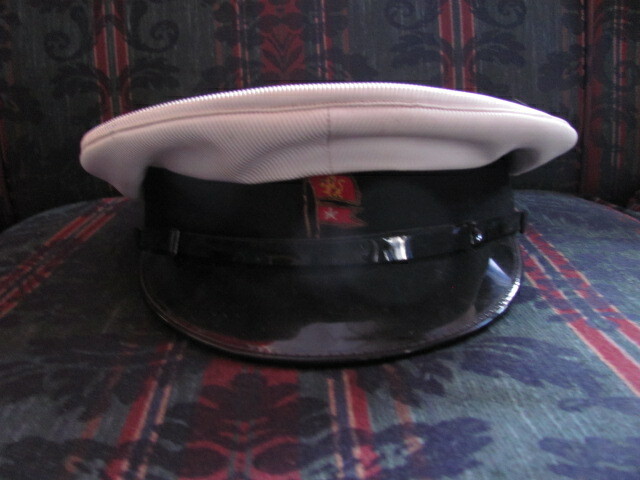 The steward’s cap has the double house flags of Cunard and White Star emblazoned above the bill. 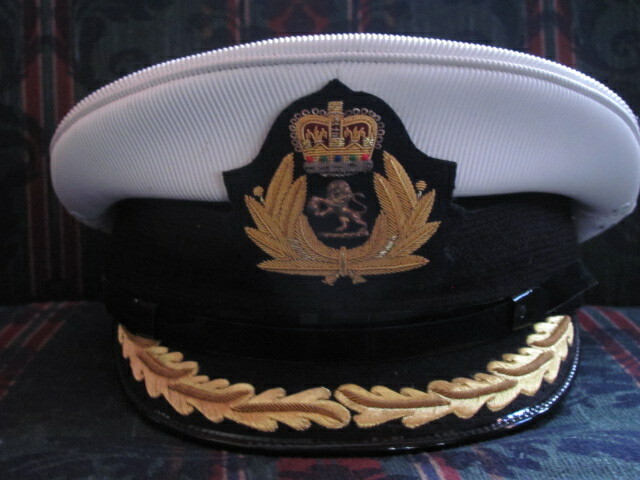 The captain’s cap is identical to the one worn by Commodore Edgar Britten on the maiden voyage and seen in the interviews he gave upon arrival in New York. There is also an identical one displayed in the captain’s suite in Long Beach today. The sailor’s cap is not only captured in the black and white films but also in advertisements of sailors climbing the rigging or working on deck. The captain’s cap is in the best shape of the three and is heavily embroidered. The attention to detail is remarkable on the caps as was everything on the liner. 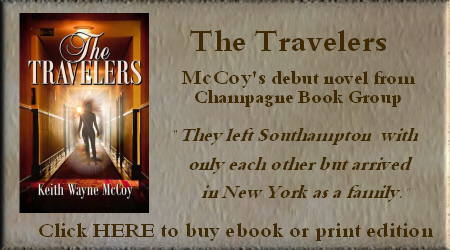 Craftsmanship was Cunard White Star’s hallmark on Queen Mary. If anyone has more information on these spectacular pieces, please contact me.